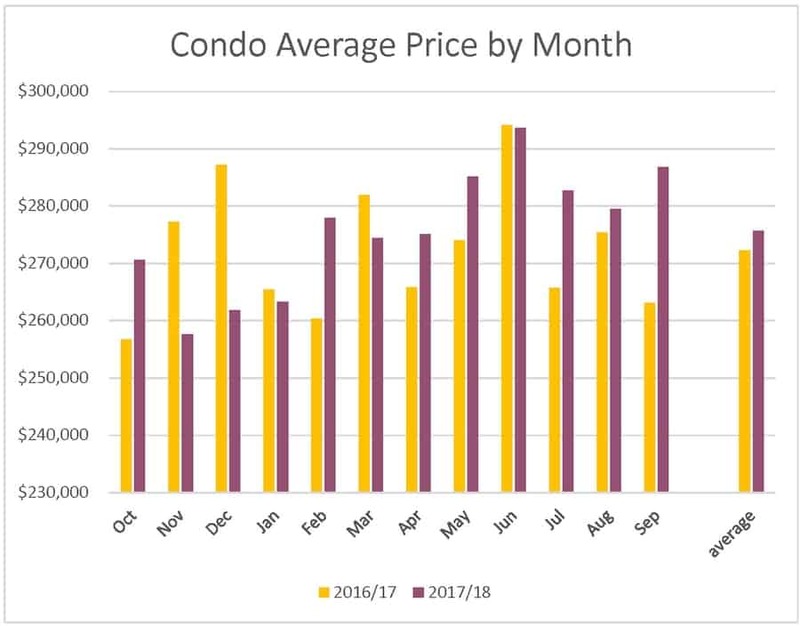 The Real Estate market in Ottawa is still going full speed ahead. 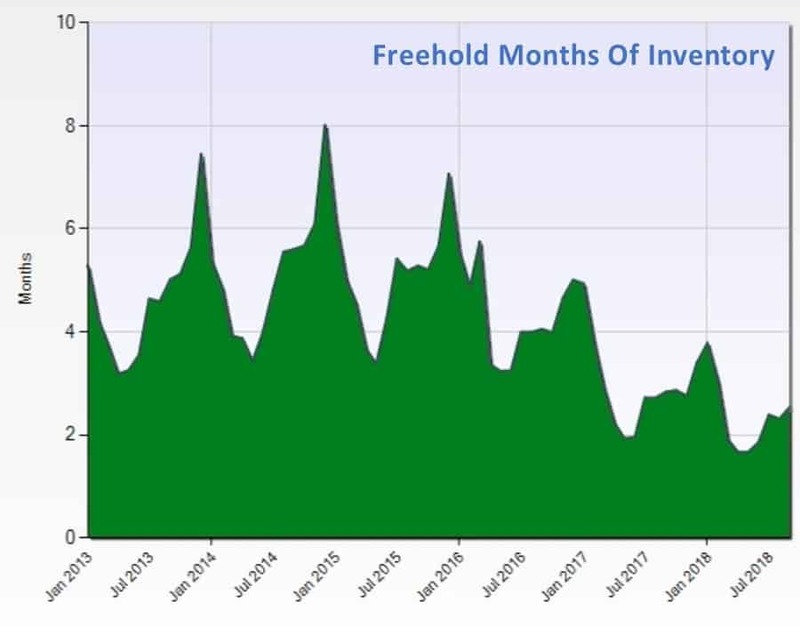 Condos in particular appear to be making up for the dead years after the federal government started mucking around in the market by fiddling around with mortgage regulations. 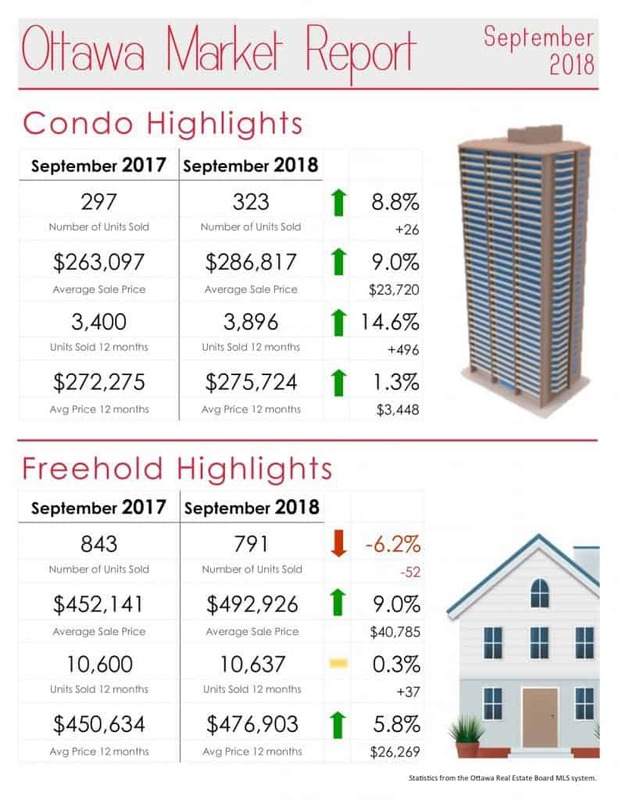 September 2018 is up about 9% in both number of sales and in sale price compared to 2017. The 12 months year-over-year shows a big jump in number of sales – over 14% more sold Oct17 – Sep18 compared to the previous year. 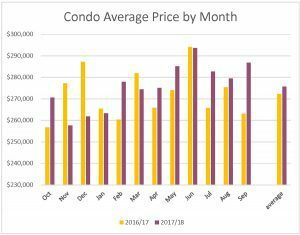 Prices are up a touch at 1.3% for the same period. 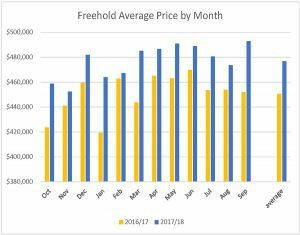 Better to look at the overall year-to-date for realistic pricing as one month is too small a sample. 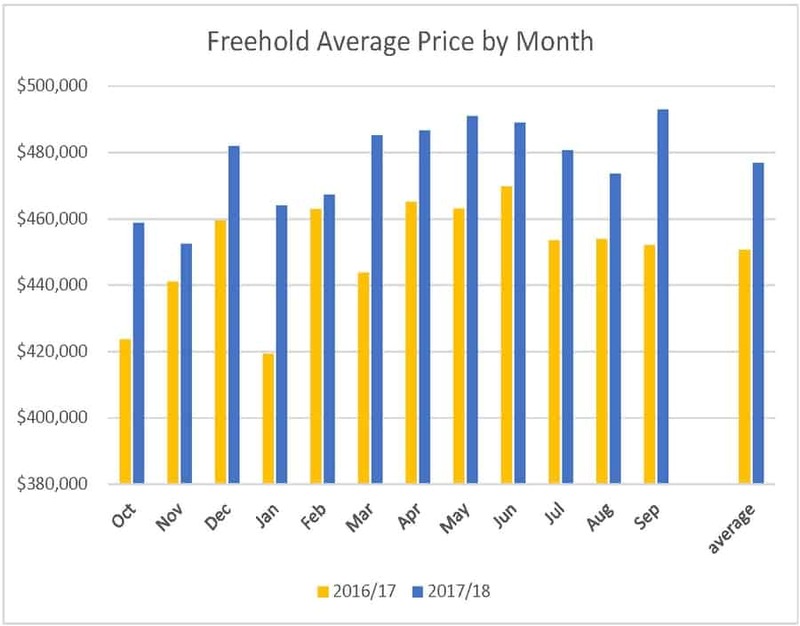 If you look at the detailed chart below, you can see that November and December 2017 were much lower prices in the most recent 12 months, so that affected this average. 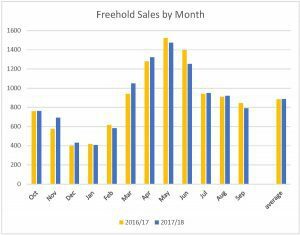 Freehold properties had impressive gains in average prices, both month-over-month and year-over-year. The number of properties sold shows a sizable drop in September. However, it’s not due to lack of interest – there just aren’t enough properties for the buyers who are looking. Both of the charts below show that the ratio of homes for sale compared to buyers looking is in a “sellers market”. The term “Months of Inventory” is used to describe the estimated length of time it would take to sell every home if no additional ones came on the market. It’s obvious in both charts that it takes longer to sell in the winter. 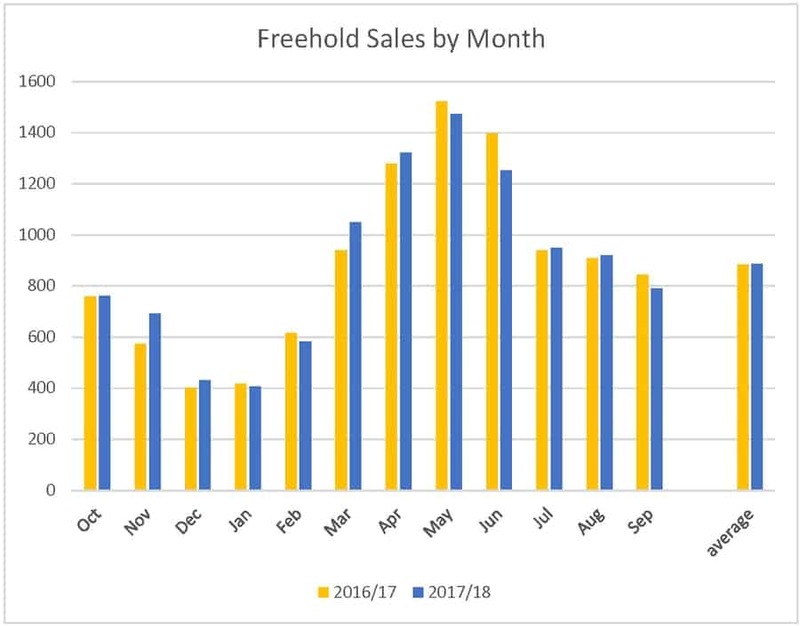 Interestingly, the Freehold chart shows how relatively stable Ottawa has been. In this chart, you can see that Jan 2013 to about May/June of 2016 was quite consistent in height year to year. 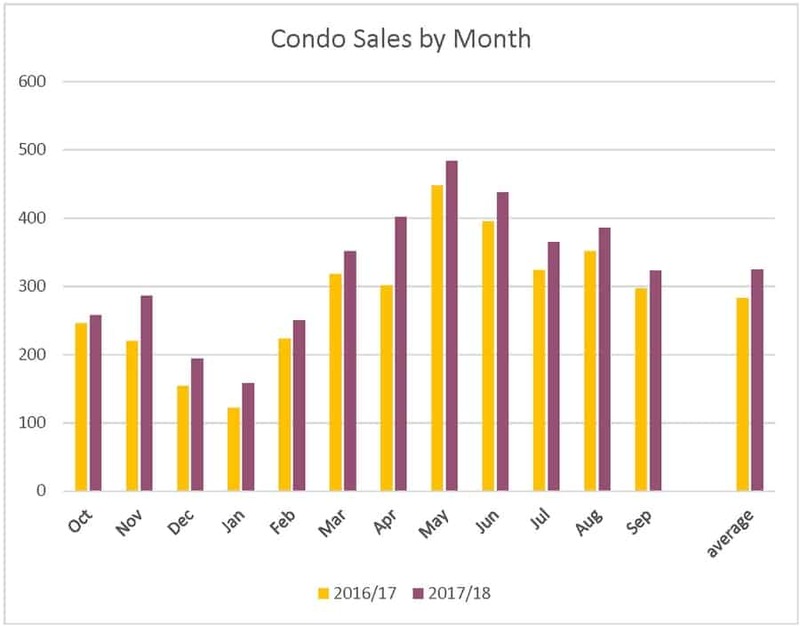 Then, from fall of 2016, Ottawa started experiencing a reduction in resale properties being available to the point where we’re looking at only about 2.5 months of inventory compared to the previous norm of about 4-5 months. 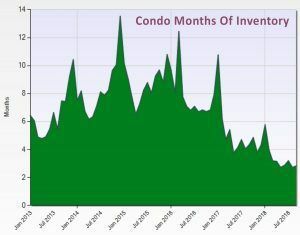 Condo Months of Inventory is even more dramatic – finally! for all the people selling condos. From a high of almost 14 months in Jan 2015, to about 3 months now. Condo resales suffered greatly after the feds moved in to protect the banking system (though I think they said they were protecting home buyers from getting into mortgages that might become too expensive for them if interest rates increased). Regardless, it looks like things are going well for all types of resale properties.